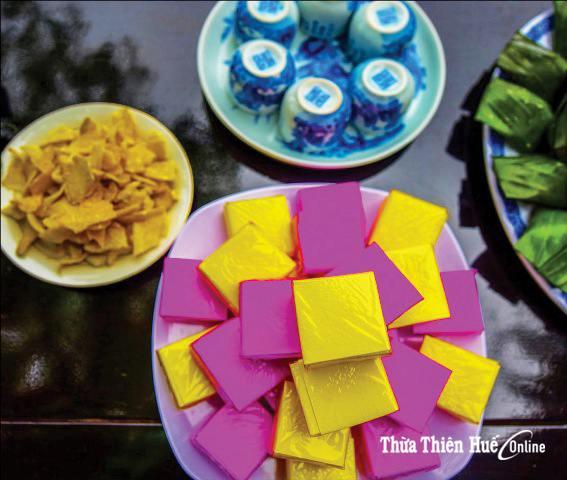 Initially banh Hue (literally Hue cakes) was common snacks served in breaks between meals. Gradually it entered the royal family. In the old days, when feeling fed up with everyday food, the king and his royal family often ordered the kitchen to serve dishes such as banh nam (flat steamed rice dumplings), banh beo (savory steamed rice cakes), etc. Present-day Hue inhabitants still keep that routine. They often buy such dishes for sick people, believing that they are wholesome and good for digestion. 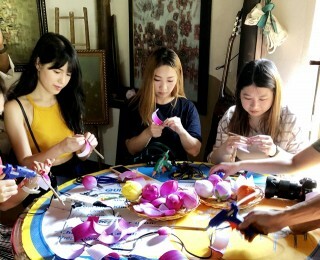 On Tet holidays, many families in Hue give banh Hue parties at home. 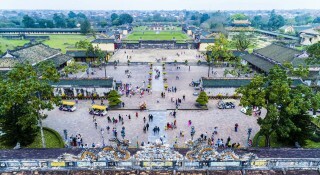 Visitors to Hue are often taken to palaces and royal tombs, invited to take boat trips on the river, enjoying Hue singing, treated to royal meals and clam rice, etc. 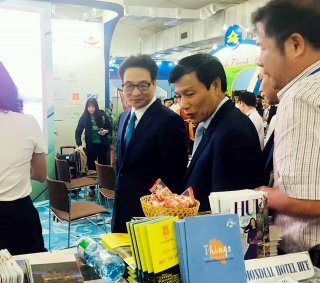 Their visit is completed with a substantial good meal of banh Hue. 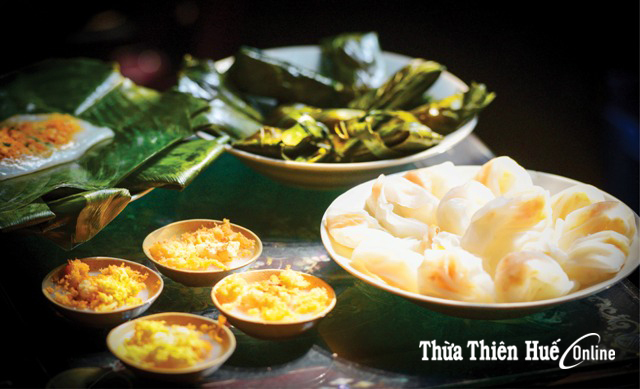 As recorded, in a royal banquet in the Nguyen's times, there were up to ten kinds of banh Hue. Today such dishes can be found both at hotels and small shops and at home. To my knowledge, only in Hue can we find a shop selling only one specialty, that is banh Hue restaurant. In a banh Hue meal, diners are treated to unforgettable dishes such as banh beo (savory steamed rice cakes), banh nam (flat steamed rice dumplings), banh ram it (sticky rice dumplings), banh cuon thit nuong (steamed rice roll with grilled pork), banh cuon tom chua (steamed rice roll with pork and shrimp paste), banh bao bong hong (rose-shaped dumplings), banh loc (clear pork and shrimp dumplings), banh khoai (sizzling savory crepes), etc. Desserts are banh phu the (lit. husband and wife cakes), banh it la gai (sweet dumplings made from Gai leaf paste and mung beans), banh dau xanh (mung bean cakes), etc. Banh Hue are served separately dish by dish, each with a different kind of sauce. Banh beo is served with fish sauce cooked with broth from shrimps, banh nam with sweetened fish sauce, banh cuon with sweetened fish sauce with lime juice added. Hue people like hot taste; so chili is indispensable. However fish sauce with no chili can be requested by those who do not like chili. Banh Hue taste better when hot; so they are always served separately. If served together, diners might also be mixed up with different sauces. I took my old friend, a lecturer at Hanoi University of Commerce, Dr. Nguyen Bach Khoa, home and treated him to banh Hue. Seeing my wife serve dish by dish, he whispered into my ear, "They look delicious. But why so little?" When the meal was finished, he said jokingly, "Honestly I want to eat more but am worrying for my belly. I now understand why Banh Hue is so well known." 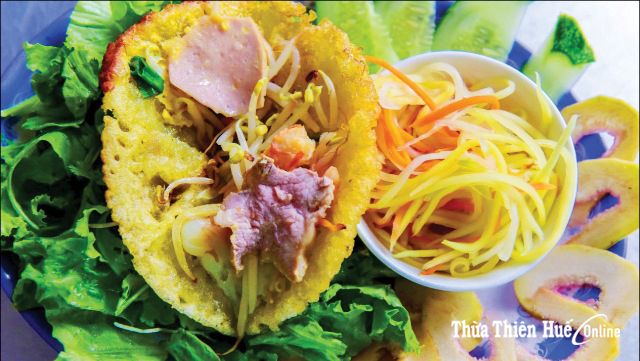 Banh khoai is small, crispy with its own special taste. The meal often starts with banh beo. Rice flour is mixed with water, some cooking oil and salt. Pour the mixture into small bowls (about 5-centimeter diameter each) then steam them, 20-30 bowls at a time. After that, coat banh beo with scallion oil before adding shredded shrimp and topping it with some pork cracklings. A tray of banh beo contains 15-20 bowls. The sauce is sweet and smells of shrimp. Banh beo is often served with a pointed bamboo stick. Banh nam is made from the same ingredients as banh beo but wrapped in dong leaves and steamed for about an hour. Banh nam is served with sweetened fish sauce with chili. 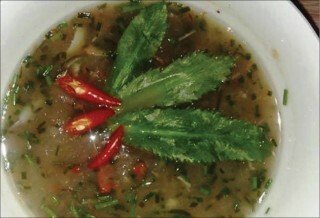 Restaurants often served cha tom to accompany. To make cha tom, shrimp is pounded and steamed, then cut into diamond-shaped pieces. 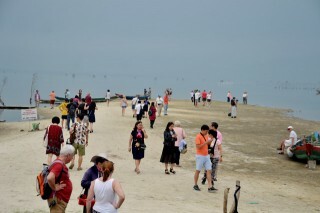 Shrimps to make cha tom are often the type in Tam Giang Lagoon. The most Hueish is banh khoai. 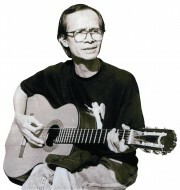 Why the name khoai (glad)? 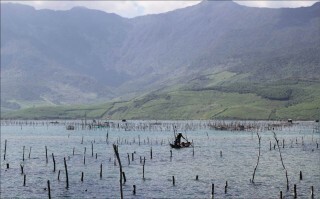 Hue inhabitants say it is so called because it is so enjoyable. Scholars think banh khoai is best when hot with smoke (khoi) so it is often made while eating. Hue inhabitants mispronounce khoi as khoai, hence the name. 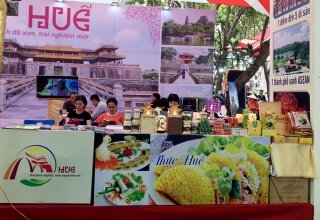 Near Thuong Tu Gate on Dinh Tien Hoang St., there are two famous banh khoai restaurants Lac Thien and Lac Thanh, always crowded with diners. 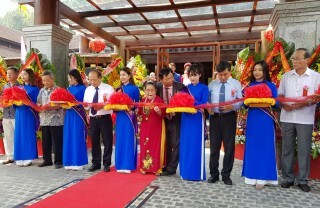 In addition, there are sweet dishes especially for worship on Tet holidays and special occasions such as banh in (made from sticky rice flour or mung beans), banh hat sen (made from lotus seeds), banh trai cay (fruit-shaped cakes), banh gac (made from sticky rice and spiny bitter gourd), etc. 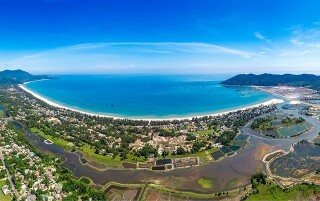 Banh trai cay and banh gac are categorized as noble and first-class. Banh gac (also called banh it do) is made from sticky rice flour. The red color comes from the spiny bitter gourd and the filler is made from mung beans and coconut. Banh trai cay is made from mung beans too, but carved into the shape of fruit and are given a glossy coat. Banh gac and banh trai cay are also served at engagements and weddings.